Lefkada Island is part of Ionian Islands in western Greece. The island is accessible by car from mainland which gives you a wide range of possibilities how to arrive. The shortest and most comfortable way - just 15km from Lefkada town. Most of the flights are charters operating between May - September. Easy connection with many airlines and also low cost airlines. Connecting mostly Athens and domestic / chartered flights. The best connectivity with the international airports during all year long. Low cost airlines possibilities. Second biggest airport in Greece after Athens. Good connection with international airports during the whole year. We provide an estimated price ranges for taxi / bus fares just for your information. Please check the exact prices according to high/low season as well as the timetables directly with the route provider. You can easily rent a car from Preveza airport or contact us for assistance. An alternative is to take a taxi - price for one way is around 80€. From Preveza follow the signs to Lefkada; take the small bridge connecting the mainland and Lefkada Island, which will bring you directly to the capital of Lefkas - Lefkada town. Direct flights to Preveza are available from Heathrow, Gatwick, Manchester and Bristol in the UK; Amsterdam, Vienna, Rome, Venice, Bari, Naples, Frankfurt, Stuttgart, Hanover, Munich, Dusseldorf, Helsinki, Copenhagen, Oslo, Stockholm and Amsterdam. A 45min drive (30km) alongside the east coast will bring you to Sivota at the south of the island, where most of our villas are located. Follow the main road and directions to Nikiana - Nidri - Sivota. There is a bypass around Nidri town - like this you will avoid the slow traffic inside Nidri town (even closed in evenings during summer season). Just before entering Nidri, take the road on your right direction Vassiliki. In about 3min you will pass Nidri town and get back on the original road (a cross road with Stop sign). Sivota is about 15min from there. A sign ¨Syvota¨ on the main road will bring you down the steep hill just before entering Sivota village. There is also a bus connection between Lefkada town and Sivota (and other towns on the island) - see the table here. There is plenty of flights into Kefalonia's airport and the price is much lower that to Preveza airport. From Kefalonia you can get to Lefkada Island either by connection flight to Preveza (just 20min) with Skyexpress or by ferry to Nidri town in Lefkada. 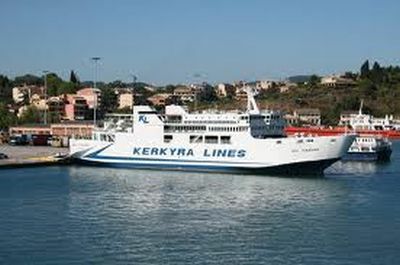 The ferry leaves from the port Fiskardo in Kefalonia and takes about 2hours to arrive to Nidri town in Lefkada. Timetable of departures here. The ticket costs about 8.5€ and the route is really scenic. To get to Fiskardo, you will need to go by bus/taxi from the airport to city of Argostoli and to Fiskardo. Tickets can be purchased at the bus driver. 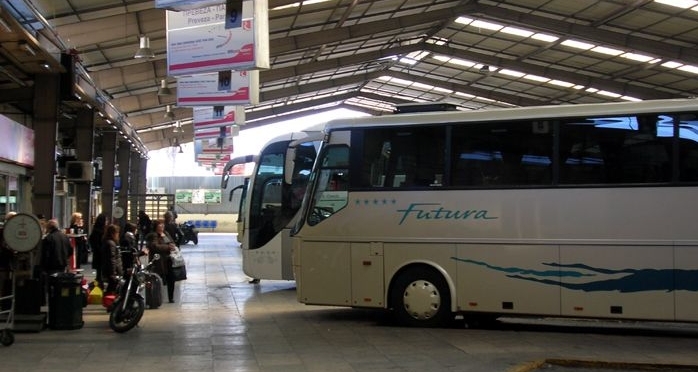 More info at Kefalonia bus service portal. You can either hire a car or take a taxi (price around 200€ one way). If you are driving from Ioannina, follow the signs for Arta, Preveza and finally Lefkada. The road takes about 2.5 hours (170km). Alternatively you can take bus from Ioanina to Lefkada for about 12€ one way. To get from Corfu to Lefkada you can either book a connection flight Corfu - Preveza via Skyexpress or go by ferry to mainland and then by car to Lefkada. Once in Corfu airport, get to the port (5km) either by taxi from the airport (price is fixed to 15€; 10min drive) or by Bus No 15 (15min drive). The bus ticket can be purchased directly at the driver for 1.2€. At the port, take a ferry to Igoumenitsa (its the closest town on mainland, Greece) operating approximately every hour - see the exact timetable. The ferry takes about 1.5hour to reach Igoumenitsa. Price for one way ticket is 11€ or 17€ for return ticket. Once in Igoumenitsa, you either rent a car from here or take a taxi to Lefkada/Sivota (175€). 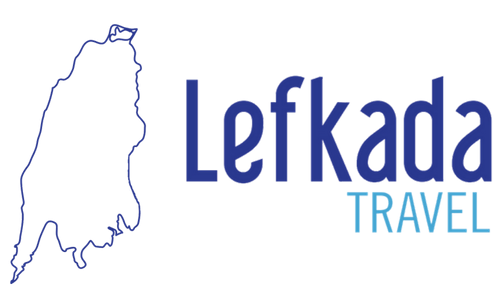 Another alternative is to take a bus from Igoumenitsa to Lefkada town which operates only once per day. The prices for bus tickets available here.
! Be aware that THERE ARE TWO SIVOTAS ! One is close to Igoumenitsa and another in Lefkada Island (where you want to go). From Igoumenitsa follow the signs to Preveza, take the underwater tunnel towards Lefkada and finally in Lefkada follow the main road and directions to Nikiana - Nidri - Sivota. From Athens you can either take a connection flight via AeganAir or Skyexpress to Preveza; or go by car/bus directly to Lefkada. You can either hire a car in Athens or come to Lefkada by bus. The road of 421km takes about 4.5 hours and most part of it leads through a comfortable highway/motorway. The buses are comfortable and air-conditioned (Mercedes) - price is 40€ per one way ticket - see the actual pricelist. If you choose this option, you will need to get to the bus station from the airport - either by bus X93 (1 hour drive; not very comfortable - usually not air-conditionned buses) or by a taxi (30-50€ per ride). From the bus station, take a bus to Lefkada town that operates four times a day. Tip - book your bus ticket online and save 10% of the price. Take a connection flight Thessaloniki - Preveza by Skyexpress or go by car/bus directly to Lefkada. Either you can rent a car in Thessaloniki and drive to Lefkada (400km) or take a bus (about 5 hours). The bus operates only once per day though. See the actual prices for bus tickets here. TIP: If you need to organize an airport shuttle or would like to rent a car at a good price, contact us at conciergerie@lefkada-travel.com or at +30 694 425 6680 and we will gladly assist you.